Nestlé’s unethical actions are part of a trend - for years Nestlé has been working around the world to privatize community water resources, selling it back to people at significant markup and trashing our planet with plastic. It’s clear that Nestlé won’t change its practices without significant public pressure. But if enough people - and businesses - stand together to say “enough is enough,” we can start to change things around. Sprouts is a grocery chain that operates 212 stores around the U.S., many of them in California. Sprouts says it cares about our environment - so why is it selling Nestlé’s unethically sourced Arrowhead Springs water? We’re organizing green retailers, starting with “sustainable” grocery chain Sprouts, to let Nestlé know that its refusal to conserve water is unacceptable. 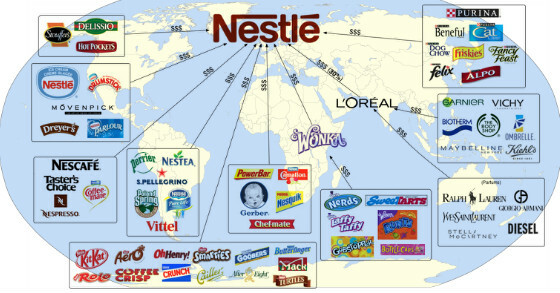 Nestlé is giving the people - and ecosystems - of California short shrift. It’s time to send a message to Nestlé that exploiting California’s National Forests for water is unacceptable.